Another month. Another Horror Block. And I could swear that June as a month didn’t even happen. This month is a little baby box, but there are plenty of really great goodies (and goodies is such a good word). I do not know where this sudden revival and obsession with H.P. Lovecraft’s Cthulhu came from. Or maybe it was there all along. As someone who was never massively into Lovecraftian horror, it always feels like being left out of the cool group. 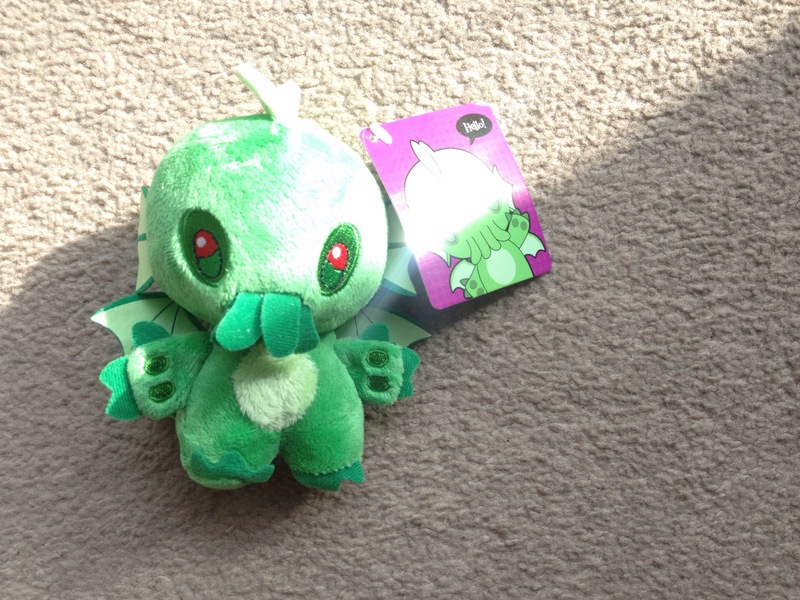 But I don’t think it takes much to appreciate how adorable this little guy is. Why would anyone want this? Did anyone like The Purge or am I just a cynic? I’m starting to wonder if receiving a t-shirt in every box is a good thing. 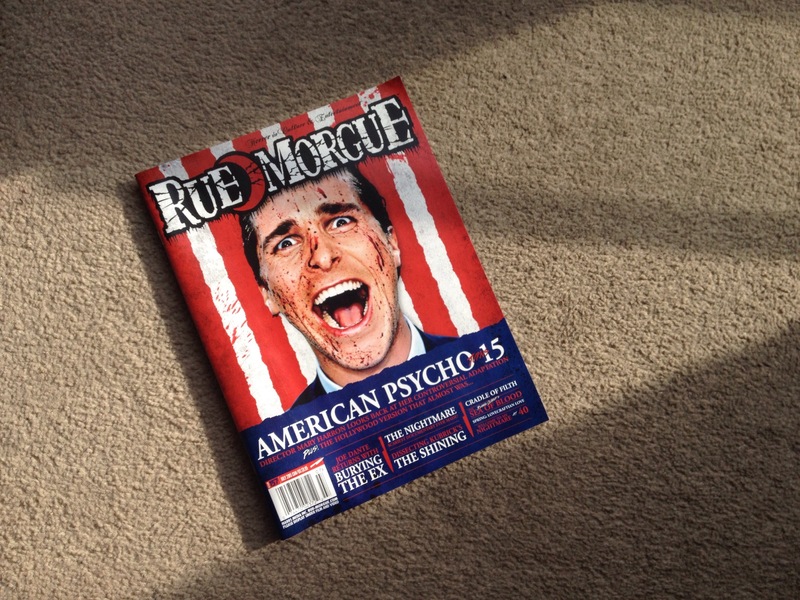 This month’s issue of the horror mag commemorates the 15th anniversary of American Psycho with a rather fitting patriotic cover. As always, this is always a highlight for me, and always makes this sub box worth getting. Plus there is a great piece about Joe Dante’s upcoming film Burying the Ex that is definitely worth a read. It is “bloody warm” in London this week. Every bit of effort conjures more sweat than I ever care to admit. 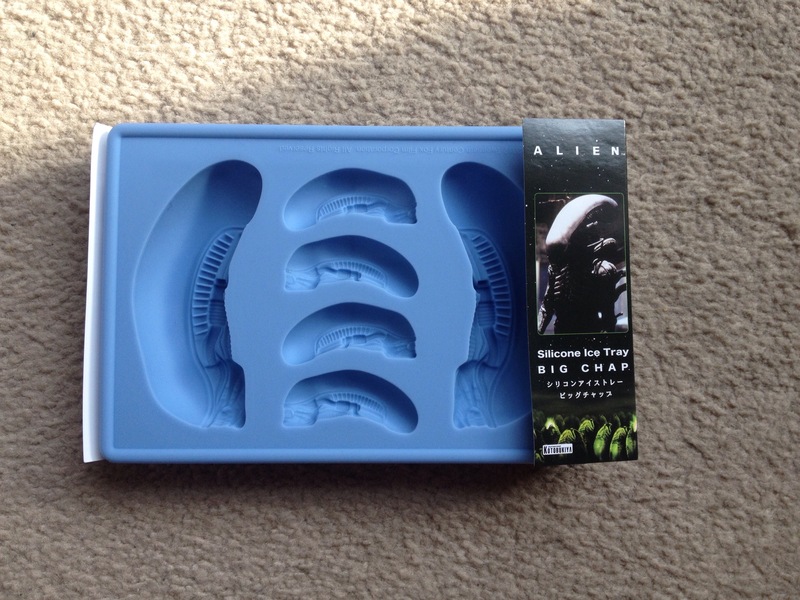 I’m a woman built for the terrible winters of Wisconsin, not any weather above “a bit sunny.” So needless to say, nothing was more welcoming than the sight of this new Aliens-inspired ice cube tray. Funko is great at producing things for the pop culture-obsessed. Their Pop figures are definitely their biggest selling point, but the ReAction figures are some of the most unique. These retro toy inspired action figures are really neat. 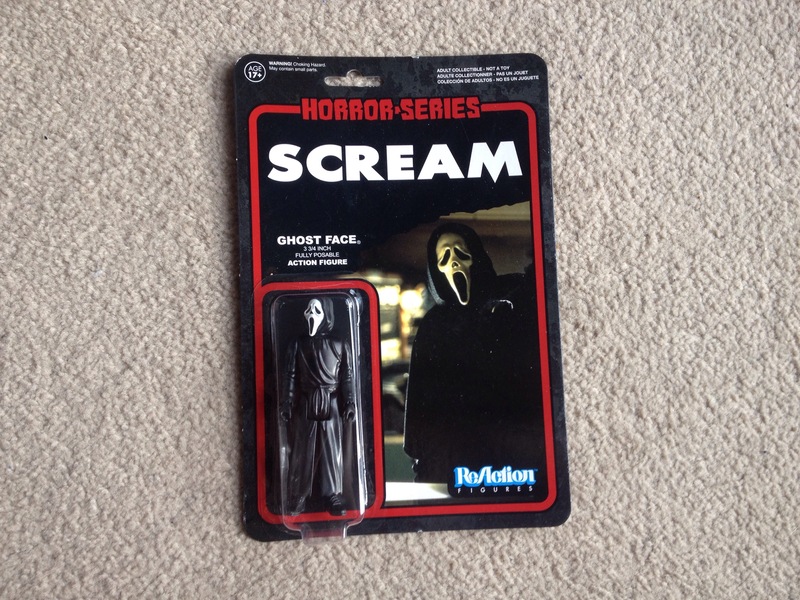 This little Ghost Face even comes with his own knife. If you are out there, oh Nerd Block Gods, please have more of these. Just send me a box full of the entire Gremlins line. From what I’ve seen of people’s reactions online, many think this box doesn’t reach its supposed value. It was, admittedly, a rather light box, but I would rather there be fewer things that are interesting and exciting rather than a box full of junk just to be “worth it.” This was definitely an improvement over last month’s box. It’s nice to see some classic horror movie inspired bits. Those items will always be crowd pleasers. Next month will have a Buffy-themed item. I am already counting down the days.